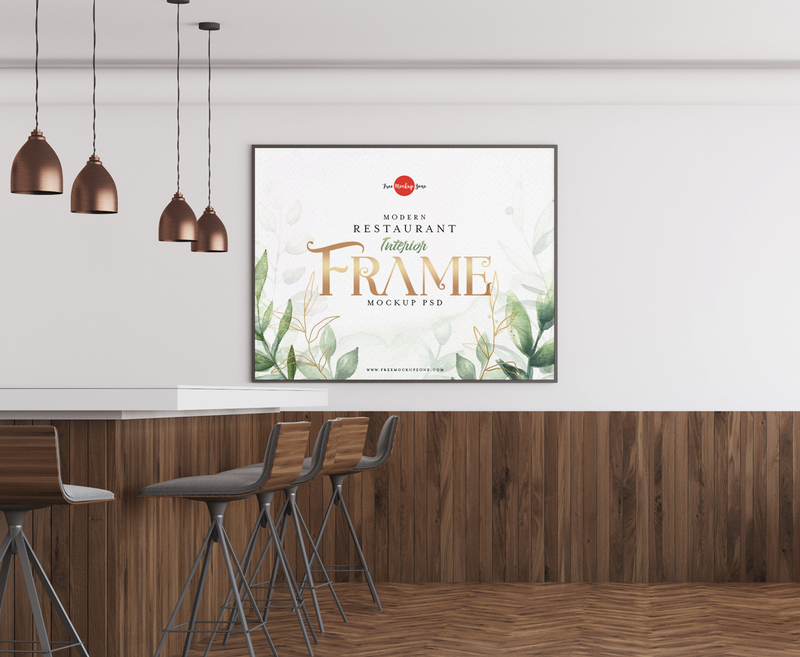 I am really very excited to share with all designers very stunning and flawless Free Modern Restaurant Interior Frame Mockup PSD to showcase your artworks. You can simply get the desire presentation by using the smart-object layer. Double click on it, paste your design and finally get the desire result. Get our all free mockups for your future designs branding and presentation.